Boat Description These boats have outstanding good looks and all the features to match. Theyre stylish but functional, fast yet safe. These Commanders are spacious and comfortable.The 800 is now pre-rigged for Mercurys already fast and famous Verado!! 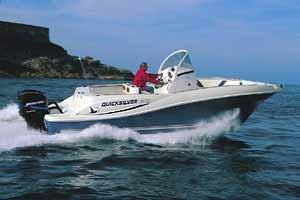 You also benefit from the optional revolutionary SmartCraft boat and engine management system. The 800 Commander comes standard with Navman 6600 Track Fish - combined GPS chart plotter and fish finder.